London will be able to receive Freeview HD by the end of the year, with the BBC confirming that they have come to a deal with Arqiva to upgrade the networks for five key metropolitan areas. Although it was expected that London's transmitters would be upgraded to cope with the extra capacity needed for the deployment of DVB-T2, the confirmation has now arrived. 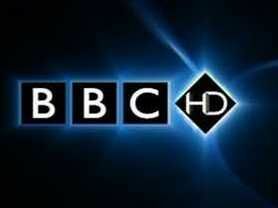 The BBC also confirmed that transmitters for Glasgow, Newcastle, Birmingham, and Leeds / Bradford due to be on-air during spring 2010. "We look forward to confirming later this autumn our plans with Freeview for the consumer launch of HD services," Pride added. Granada will still be the first television region to become Freeview HD enabled – with the service to be rolled out on 2 December, and London will now follow by the end of the month. The HD changes are being rolled out with the ongoing digital switchover, but Arqiva's deal means that five additional transmitters are being built for key metropolitan areas. HD channels from the BBC, ITV and Channel 4 will be available from launch, but there is still no news on which manufacturers will have a box that is DVB-T2 enabled – and thus able to decode the transmissions – available in time. The news has been welcomed by industry expert and WotSat editor Alex Lane, who told TechRadar: "Not only is this great news for people who live in London and the North-West but can't or don't want to go the satellite route for HD, it also means that politicians will be able to see the full potential of Freeview, and perhaps make more informed choices about what to do with the Digital Dividend after switchover."